All Aggie Fans are invited to join us in Downtown Logan for the Watch Party of the Year (tbd). 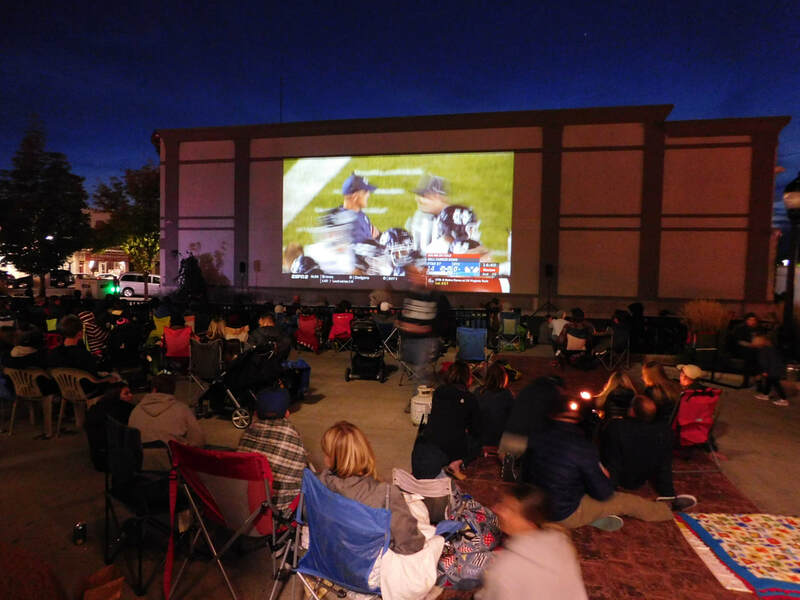 We'll televise the ESPN broadcast on our 70' Outdoor Screen at 100 North Main, behind Cache Valley Bank. Bring your friends, family and chairs, lovesacks, couches, beds, etc. to enjoy the game. Party starts at 6pm with live music "Summer Bloom", food trucks, and tons of prizes to give-a-way between 6pm and 7pm. Come early to get the best spots! And, if you want to WIN 2 Home Theater Recliners ($1999 value) to use during the game and to take home with you afterwords, enter the U&I Furniture Watch Party Contest, by going to U&I Furniture and taking a selfie of you wearing USU apparel sitting in the recliners. Post your selfie to Instagram using #usuwatchparty. More details to come as the NCAA sets the schedule.